Learning to Love the Salad! Since being deprived I have learned to love salads, and am always trying to broaden the variety to more than just a bit of lettuce, tomato and cucumber. So this for this blog post I wanted to share two different salads that are perfect when you are looking for something other than an ordinary green salad, and can accompany numerous dishes! This first salad is hearty and filling and is a good example of a super easy to make yet satisfying salad, which can be served by itself or as a side. Its works well alongside tofu quiche or a vegetable tart for a solid lunch! 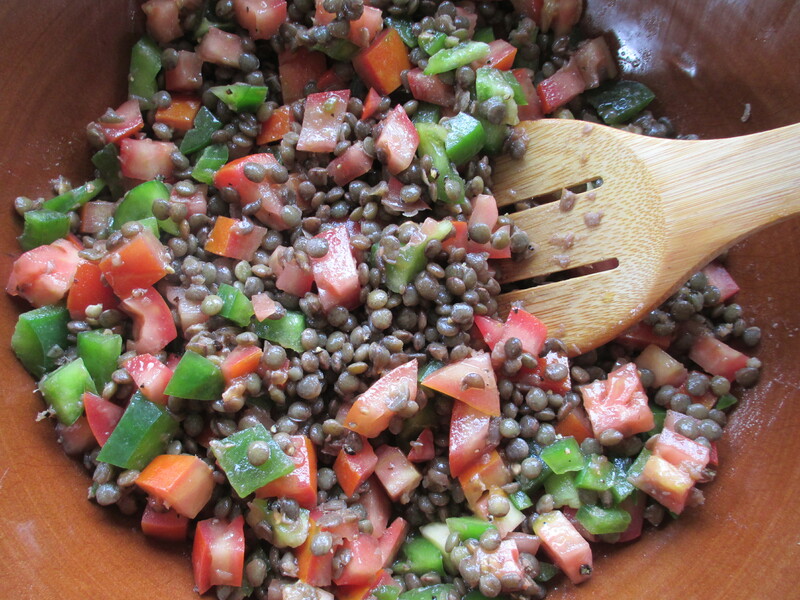 Mix the lentils, tomatoes, peppers and onions if using in a medium sized bowl. Whisk together all the dressing ingredients and stir into the lentil mixture and serve. This next one is a really simple side I like to serve with pasta dishes such as lasagne or spaghetti. Make sure you get some good quality olives, oil and balsamic for this! Its best to make this early and place in the fridge for an hour or so to let the flavours develop. 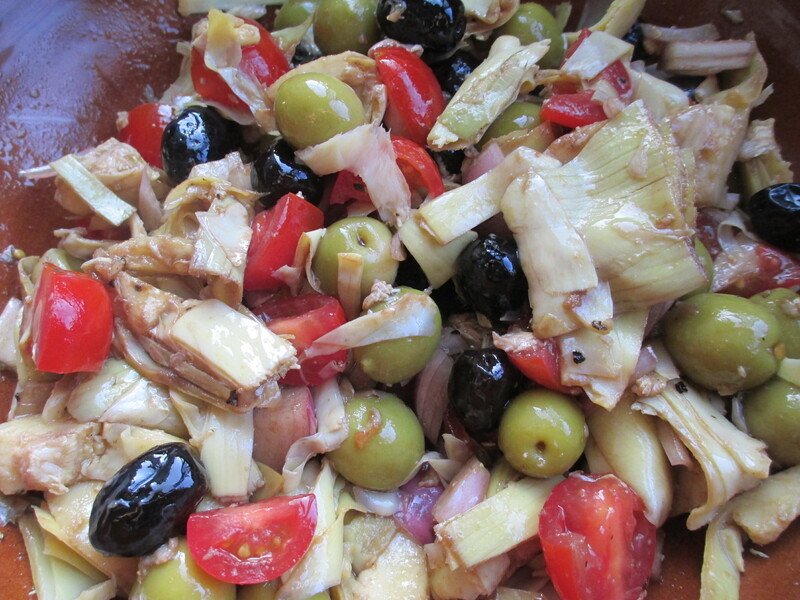 Combine the olives, artichoke, onion and tomatoes in a bowl. Whisk together the dressing ingredients and stir into salad. Make sure everything is well coated in the dressing and place in fridge until ready to serve. Next PostBODHICITTA- A guest post by Anna Greer.